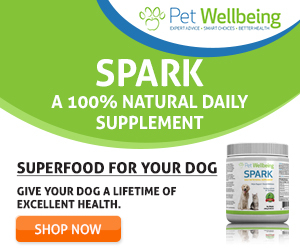 Adog weight loss program is essential if your dog is overweight. Canine obesity can cause a lot of health problems. Learn more about the causes of dog obesity, and how to design a weight loss program for obese dogs here. It has been estimated that up to 40% of dogs in the U.S. are overweight! 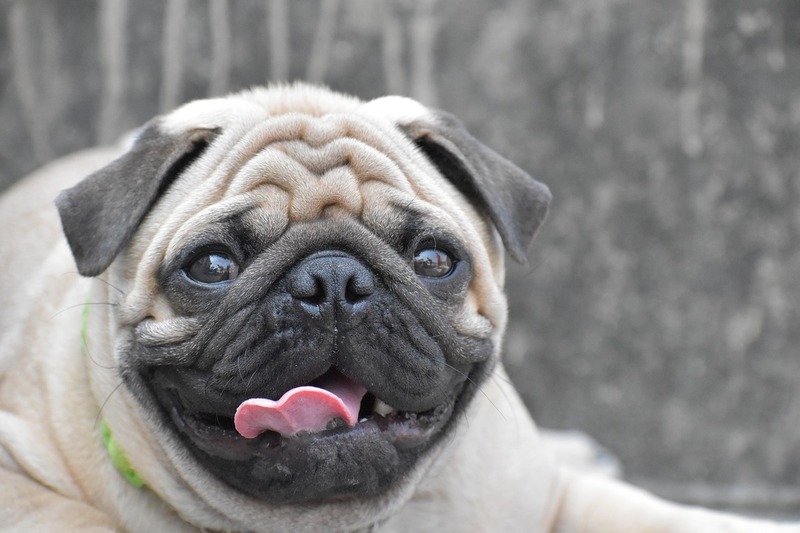 Canine obesity can cause a lot of health problems to dogs; it is therefore very important to control the weight of our dogs to keep them healthy. So how can you tell if your dog is obese? The easiest way is use your hands to feel the dog’s ribs. You should be able to feel the ribs as individual and distinct structures although there should be a slight amount of fat over them. If you can see the ribs clearly, your dog is too thin. If you cannot feel the ribs at all, your dog is overweight. Also, look at your dog from above. You should see a well-defined narrowing or waist behind the ribs. If there is no waist, your dog is overweight. From the side, the dog should have an abdominal “tuck” – the area behind the ribs should be smaller in diameter than the chest. Deep-chested dogs will have a much more distinct abdominal tuck. However, if your dog has no tuck at all, your dog is grossly overweight. If you feel your dog is overweight, do not start a dog weight loss program right away without consulting your veterinarian first – Sometimes canine obesity is caused by an underlying health problem. 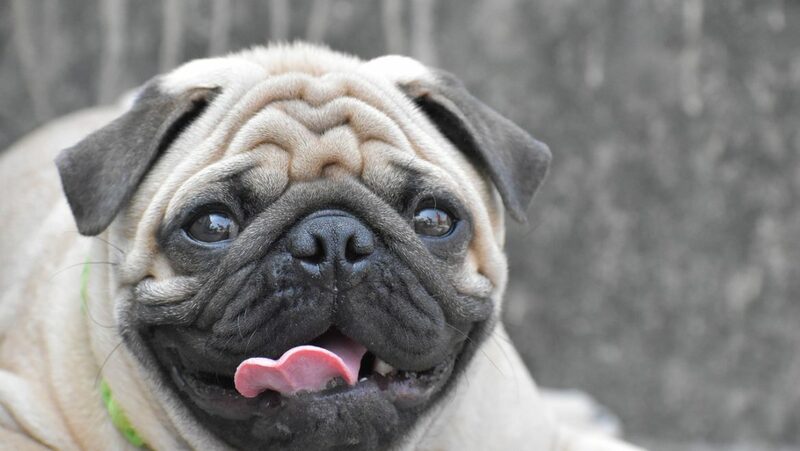 It is therefore important to have a thorough medical check-up to rule out any possible medical problems before starting any dog weight loss program. Perhaps one of the most common causes of dog obesity is feeding the dog too much food. Some people tend to give their dogs a lot of snacks in between meals, and some owners feed their dogs table scraps on top of their regular dog food. Also, some dog parents are feeding the wrong type of food to their dogs. For example, an older dog who is more sedentary does not need high-energy dog foods that are designed for younger, more active outdoor dogs. Just like people, a dog who is a couch potato tends to become overweight. In addition, a dog who sits home all day is more likely to feel bored which in turn may make him eat more out of boredom or stress. Interestingly, senior dogs are less likely to become overweight. As well, young growing puppies do not tend to be obese either because they are more active and need a lot of energy to grow. Dogs between the age of 2 and 12 years tend to become overweight. Some medications can cause a dog to become overweight due to their effects on the dog’s metabolism and appetite. Some such medications include corticosteroids (such as prednisone and dexamethasone), barbiturates (such as phenobarbital), and a class of drugs called benzodiazepines which includes valium. Hypothyroidism in dogs results in a deficiency of the hormone thyroxine which causes a dog to have a lower metabolic rate. A normal dog will become overweight if he develops hypothyroidism and is fed the same amount of food he was fed when he was healthy. Treating hypothyroidism and starting a dog weight loss program can solve the overweight problem. Cushing’s disease is a disease in which the adrenal gland produces too high a level of glucocorticoids, which can cause appetite gain and consequently weight gain. Treating the disease and starting a dog weight loss program are necessary if the dog is to successfully lose weight. Other possible diseases that can bring about obesity in dogs include insulinoma, and pituitary gland and brain diseases. If your dog is overweight but otherwise healthy, you should consult with your vet to design an appropriate weight loss program for your dog. There are two dietary approaches to weight reduction. One is to feed less of the current food – the amount of food fed daily is usually cut back by 20 to 40%. The other approach is to feed another food that is low in calories. One disadvantage of feeding less of the current food is that it can lead to nutritional deficiency. Ask your vet if you need to feed your dog supplements should you decide to feed your dog less of his current food. In addition, all snacks and table scraps should be eliminated. If you are training your dog and need to use treats as a reward, use his regular food and simply cut back on the portion to be given at mealtimes. Another important component of a dog weight loss program is regular exercise, which can help burn extra calories. In fact, regular and suitable exercise may be more important than feeding a diet food. The amount and nature of exercise should of course depend on the age and physical conditions (muscles, joints, heart, and lungs) of the dog. It is important to start your exercise program slowly and increase the length and intensity of the exercise gradually so as not to overtax the dog. Rest if you notice signs of fatigue, like excessive panting. Walking for 20 to 60 minutes a day, five days a week is an ideal way for dogs to exercise more. Swimming is another ideal activity for obese dogs, since it places less stress on the joints. Chart your dog’s weight loss progress so that you can better see the results. Weigh your dog at weekly intervals, using the same scale at the same time of the day. Remember that weight loss takes time – it is not healthy to achieve sudden weight loss in dogs. Your dog should lose no more than 2% of his body weight per week. Make appointments with your vet every month to make adjustments in the weight loss program if necessary.